**MOTIVATED SELLER** LOOKING FOR A FOUR BEDROOM HOME FULL OF HISTORICAL CHARACTER SITUATED IN THE MOST PERFECT LOCATION? You may have just found that home! The kitchen is over-sized and features plenty of cabinet space plus a breakfast nook. The living room is connected to the dining room making this ideal for entertaining large groups of friends or family! Off of the front door sits a spacious room (den office or Florida Room) with tons of natural light streaming in! There are two large bedrooms off of the living room with a beautiful bathroom in between along with a linen closet. The two additional bedrooms are located off of the kitchen in a separate wing. You will love the rich wood walls and roomy closets. There is also a full bathroom on that side of the house. One of the most amazing features of this house is the incredible attic. This could add a ton of additional square footage as it is a walk through attic. Other interior amenities include an indoor utility room ceiling fans in most rooms and a separate entrance to the side wing of the home. 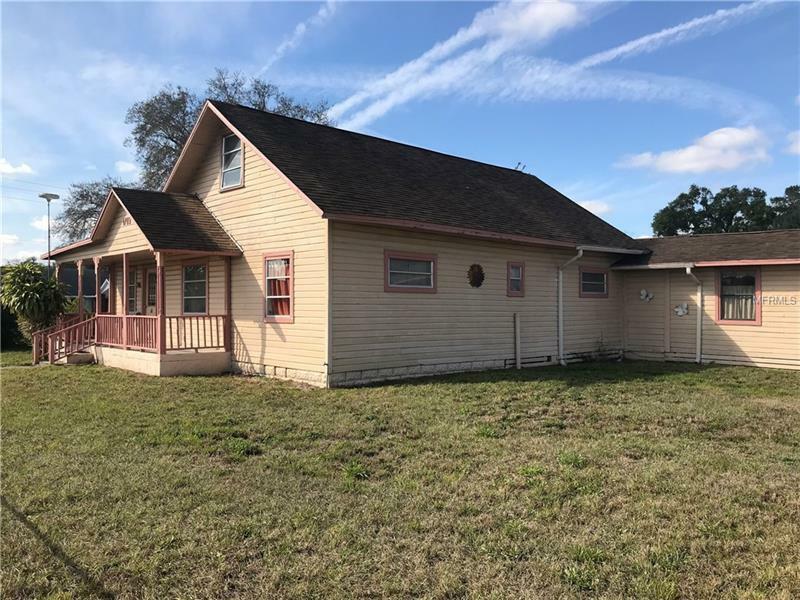 The exterior includes a fully fenced corner lot that measures 1.313 acres 3 concrete slabs for BBQ's sheds and RV electrical hookup multiple fruit trees/plants (bananas muscadine vines pineapples) and a bonus shed for storage. This property is on well and septic and is a prime location close to shopping restaurants and schools! This four bedroom two bathroom historical home is offered at $159900 and could be your very own home sweet home!